I think it’s fair to say MGK, aka Machine Gun Kelly, has been butchered by Eminem after he dropped his response diss track on Friday, (September 14). It was a long time coming. Two weeks I believe. Em came outta nowhere and released Kamikaze to the shock and delight of fans across the globe – but it wasn’t a vanilla album. Em called out numerous other rappers and started a fire so to speak. 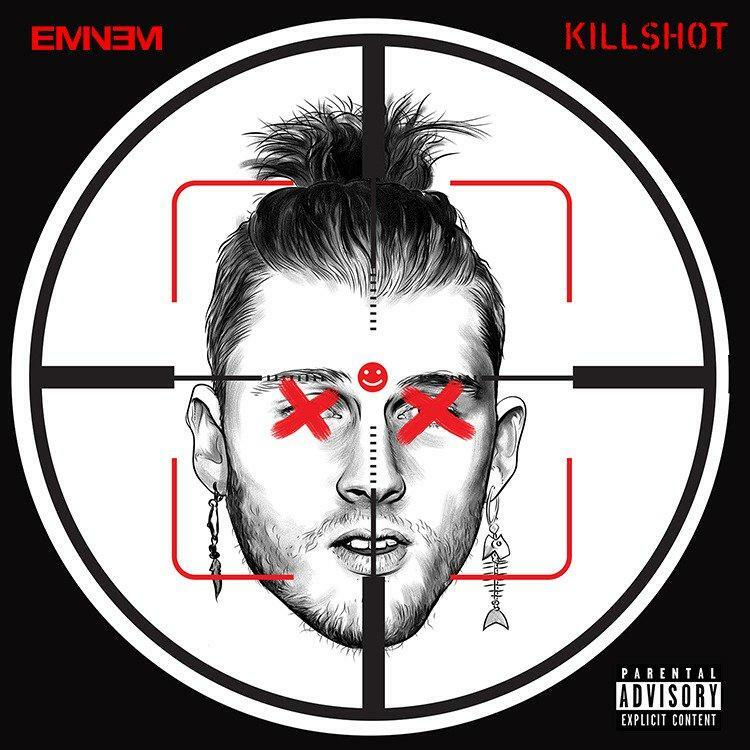 MGK added fuel to that fire by almost immediately dropping a track where he launched an attack on Em for calling him out. Ayy, somebody grab him some clippers (zzzzt). His f*ckin’ beard is weird. Tough talk from a rapper payin’ millions for security a year . In Killshot. Well what can we say. The track begins with the words ‘shut the f*ck up’ so that’s that. Adios MGK. However as if things couldn’t get any worse for MGK – one line in Killshot is a direct reference to a tweet MGK made in 2010. What did the tweet say? That Em’s daughter, Hailie Jade, was ‘hot as f*ck’. It’s worth noting Hailie was only 14-years-old at the time too. Bit weird. Stan, son, listen, man, dad isn’t mad/ But how you gonna name yourself after a damn gun and have a man bun? Just ’cause you look in the mirror and think that you’re Marshall Mathers (Marshall Mathers) don’t mean you are, and you’re not about it. So just leave my d*ck in your mouth and keep my daughter out it. Have to say, it’s pretty amusing diss tracks have gone from ‘I’m gonna kill all you motherf*ckers’ to ‘ha, you’re old’ and ‘you’ve got a man-bun’. I’m not saying we should go back to mass murder threats but… it’s an interesting one to say the least.